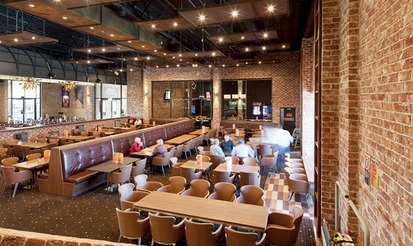 The Brewery is located in Rouse Hill, in the Western Suburbs of Sydney and has become one of the best places in Western Sydney for a number of reasons. It is a great place for locals and tourists to come and have a meal and a good time. 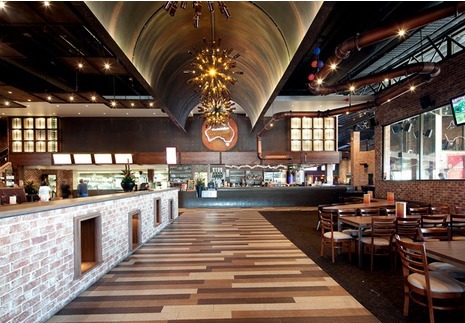 It provides family friendly food and entertainment with a sporting section better than most places in Western Sydney. Plus the night club, The Cool Room upstairs, is very popular on a Thursday, Friday and Saturday night. The entrance to The Australian Brewery. Set up in The Brewery. Layout of the Australian Brewery. The Australian Brewery caters for everyone, especially the little ones. 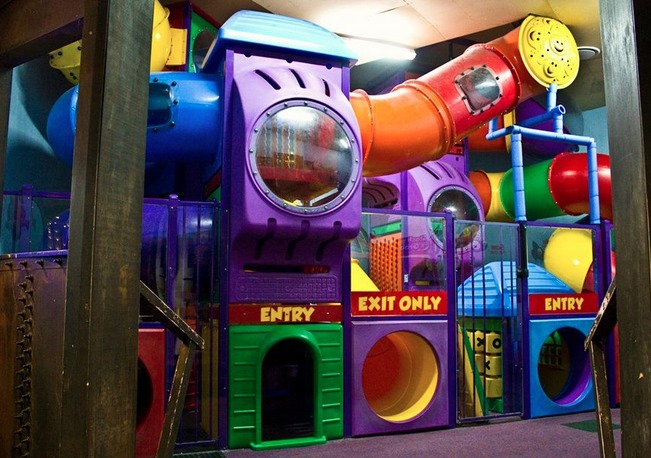 Inside they have a fantastic enclosed area for the kids to dine in, which can seat up to 80 people, as well as a playground and kids activities, plus change facilities for the parents and a delicious kids menu which is affordable for families on all kinds of budgets. These are some of the reasons parents and families are attracted to the Australian Brewery. Parents can enjoy a meal with friends or family without having to worry whether their child is safe, because they can seen at all times and they are in a safe facility. Another reason the Australian Brewery is such a family friendly environment is that on Sundays there is free face painting. 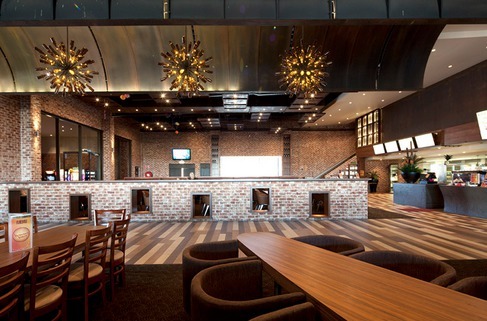 The Australian Brewery was "Voted Best Family Friendly Hotel in NSW" by AHA. One of the best things about The Australian Brewery would have to be their food. Definitely some of the best food in Western Sydney and I urge you to try it for yourself. They pride themselves on providing the highest quality of food to all their guests and they certainly deliver. 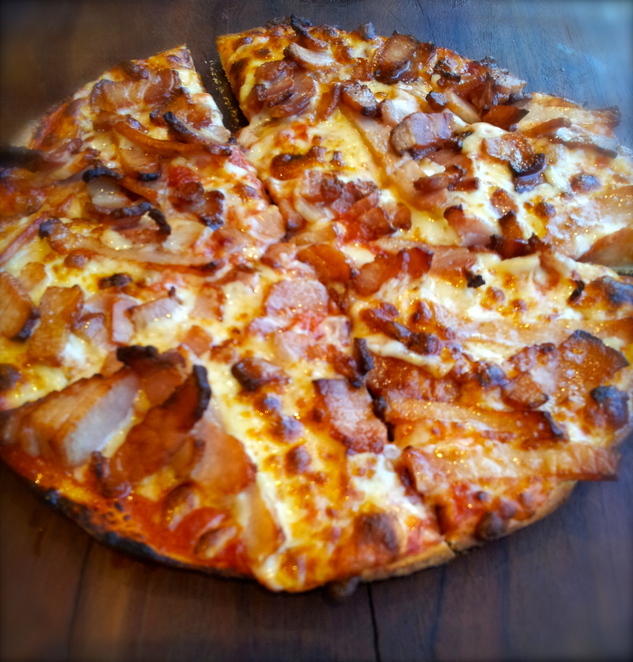 They have a selection of light bites which include a delicious cheesy bacon pizza (see image below), garlic bread, garlic pizza, bruschetta, chips, antipasto platter for two, salt and pepper calamari and more. Cheesy Bacon Pizza - the Best Pizza! 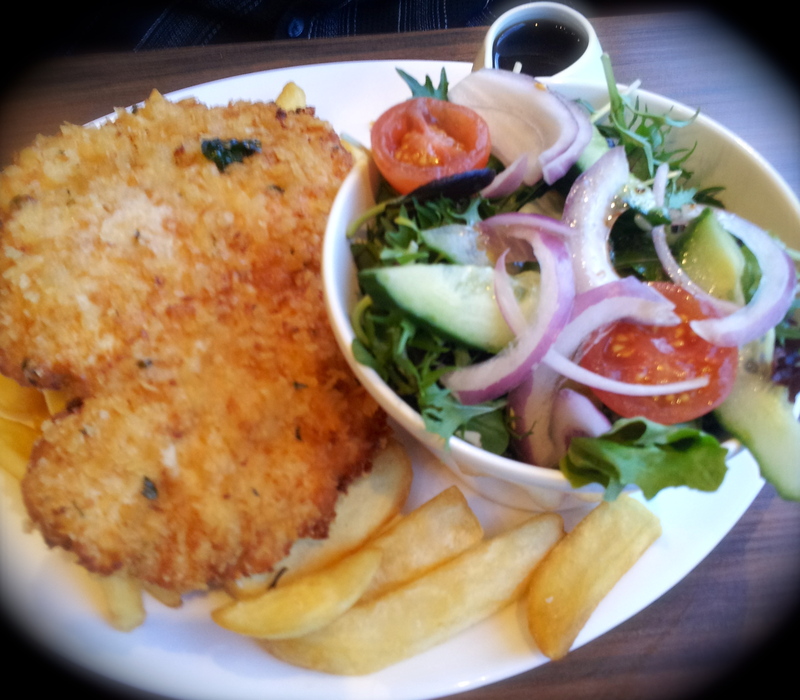 They also have a selection of pastas, salads and fish, including beer battered flathead. From the grill they have a wide range of meals, including sirloin, marinated chicken breast, scotch fillet, oyster fillet, kangaroo fillet, wagyu rump and more. They also have a selection of sauces which are all hand made in their kitchen, as well as a selection of sides. 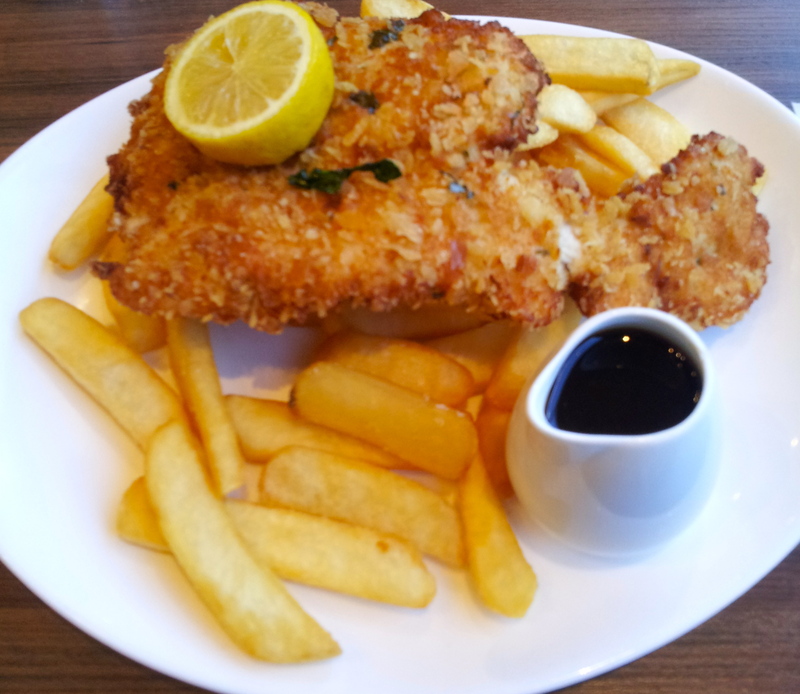 Their favourites menu includes Angus beef and bacon burger, steak sandwich, chicken parmigiana, bangers and mash, chicken schnitzel, crisp pork belly and more. Not to forget their award winning pizzas and also their selection of kids meals. Chicken Schnitzel special on Tuesdays $10 with chips and gravy. Such a big meal! For those young western Sydneysiders, The Cool Room is definitely the hottest place to be. The main features of the Cool Room is that there are famous guest DJ appearances and specials on every night from Thursday. They offer fast and friendly service and 4 private booths, each seating 10-15 guests and they have their own podium and dancing pole. If you're visiting on a Thursday night, you can expect to see Sydney's biggest party, with $5 house spirits and free entry before 9.30pm. Everyone has a blast on a Thursday night with people all over Western Sydney coming along to join the party. With great music, good food, an awesome place to dance and free entry, it's definitely the place to be. Friday nights are also very popular at the Cool Room with free entry before 9.30pm. Saturday Night is Saturday Night Fever, where they play the best commercial, top 40 & dance party tunes in Sydney. There are private booths available and also free entry before 9.30pm. The Cool Room is definitely one of the up and coming places for young people to go out, drink, dance, have fun and have a good time. For those who are interested in sport, there is a unique TAB and sporting section of the Australian Brewery. It's definitely the place to be if you are wanting to have a few beers with your mates and watch the big game. 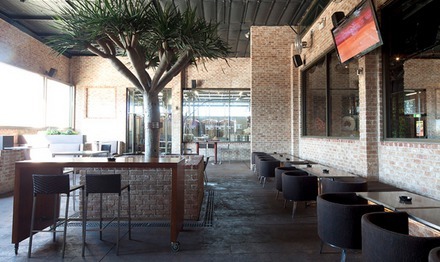 Plus the outdoor area is perfect for those summer days, when you want to watch some sport after a day at work. They have comfy leather armchairs in the TAB, and plenty of chairs, tables, big screen and a bar to cater to your every need. Also, all of the NRL games from Thursday to Monday are broadcast on the big screen. Other bonuses about the Australian Brewery is that they have Happy Hour - Monday to Friday: $4 Schooners & $4 house wine 4-6pm, Trivia Night - Wednesdays 7pm, Pool Comp - Fridays 7pm and Poker Nights - Mondays & Wednesdays 6.30pm. I would definitely recommend The Australian Brewery. There is something for everyone there; the kids, young people, families, and couples. It provides a great experience and a good time, no matter what day of the week or what purpose you are going, So hopefully you will visit the hotel soon and enjoy The Australian Hotel and Brewery experience. Why? Great food, awesome atmosphere, good place to hang out with friends, drink, dance, fun, entertainment, sport, families, it has everything! Where: 350 Annangrove Rd, Rouse Hill.